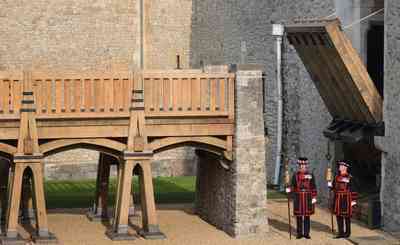 The Tower of London has a new working Drawbridge. It took five months to build, replicating the old drawbridge built in 1834 to allow munitions to be brought from the wharf into the basement of the White Tower. The Yeoman Warders look a bit dubious. CLICK for a video.